The trade union center CUT announced a vigil in front of the prison where Lula is being held. 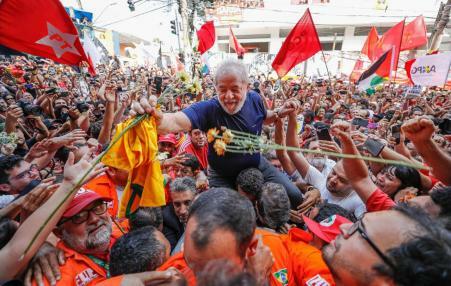 The resistance recognizes that the fight for Lula's freedom is central to the fight for democracy and against the neo-liberal coup taking place in Brazil. 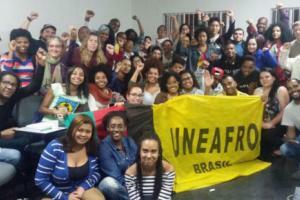 U.S. and Brazilian union activists joined May Day celebrations in São Paulo. 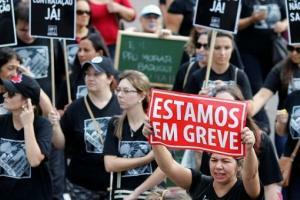 More than 14.2 million Brazilians were without a job in March. With young workers and workers of color especially hard hit by rising unemployment and proposed legislation that would undermine fundamental worker rights, they are standing up for the their future by mobilizing in the streets, through their unions and other associations. No candidate has ever run for the presidency promising to raise the retirement age, end formal employment protection and greatly expand outsourcing. Nobody would ever get elected saying these things. The only way to remove the labor rights that we fought for over the last 100 years was through a coup such as the one in Brazil that forced Dilma Rousseff out of office. Workers have responded by strikes, demonstrations and massive rallies. Plan to cut Social Security would harm seniors.